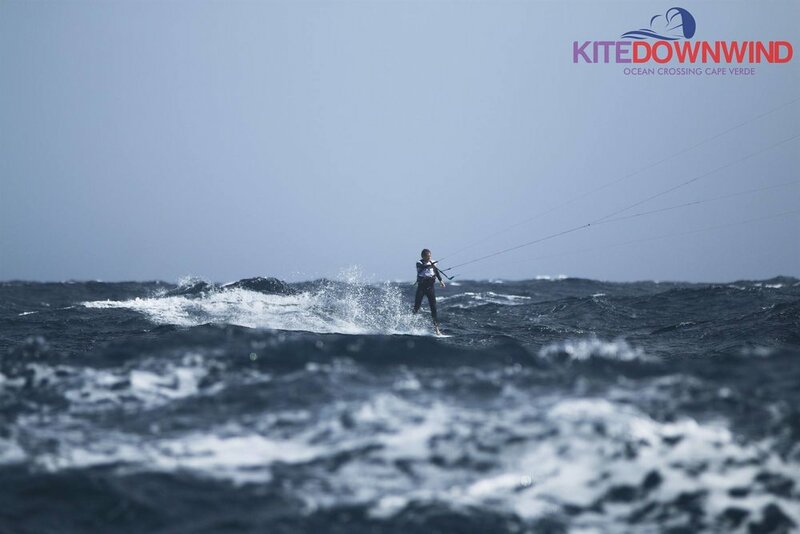 After the sucessful circumnavigation in 2017 you can now join us on this very unique foil adventure for skilled kitesurfers between the 26 of December - 02 of January 2019. The participation fee is 290€ p.p. you can find all details below. For any questions we are happy to assist you preferably via Mail or WhatsApp. After your Sign up we usually schedule a call to clarify all further details. 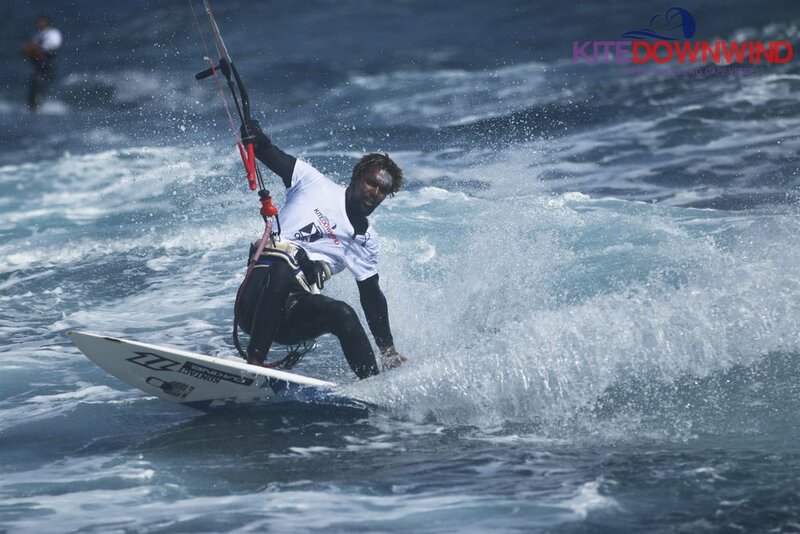 The FOILBOA Event was born last year when Ulrich decided to raise awarenes about his fundraiser and the KiteDownwind from Sal to Boavista. After careful evaluation he took off on the first of December 2017 and covered 166km in 7 hours. 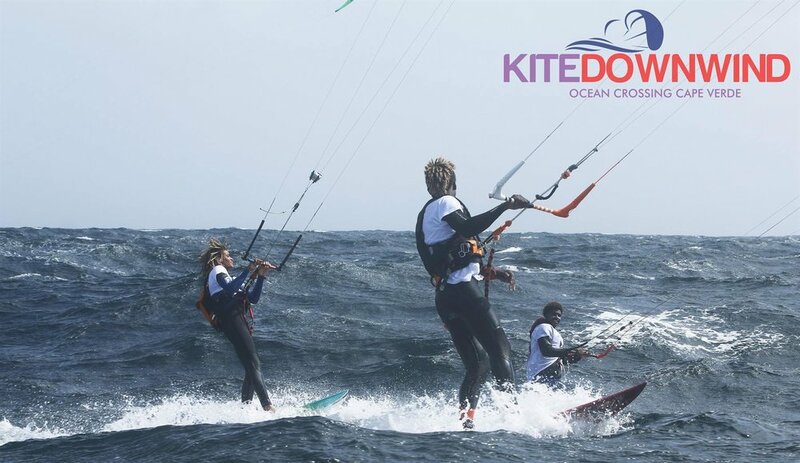 Now in 2018 we open the possibility for other kiters to join us on this very unique adventure around the island of BoaVista with the maingoal of raising funds for a local kindergarten and of course, beat the record of 2017. 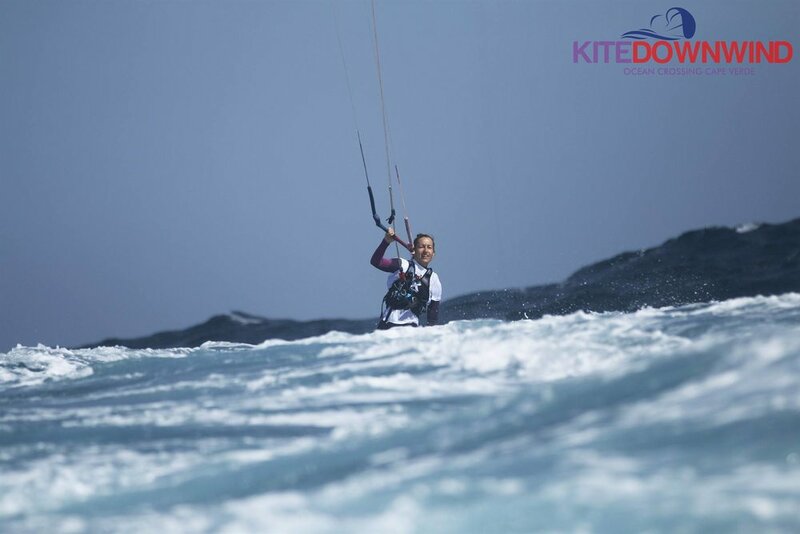 You can participate at the half distance from Sal Rei to LaCacao which is around 60KM and mostly downwind or join for the full leg covering 160km+ around the Island. On your arrival we pick you up from the Airport, show you around and on the first evening we have dinner with all the riders at Morabeza Beach, the number one location on BoaVista. Here we get to know eachother, plan the program for the week and enjoy the no stress lifestyle the Cape Verdean Islands are so famous for. The base of our Week is the Planet Allsports Center at Praia Estoril, here we store our equipment and have acess to all the facilities like restaurant, showers, rescue service and equipment rental. All Dinner and evening programs are decided on site as a group. Day 1 - DO YOU EVEN UPWIND ? The first session we start at Praia Estoril and do a first testrun upwind from Sal Rei to Ponta do Sol - about 20km. After that we enjoy beachlife and have some caipirinhas. Day 2 DO YOU EVEN DOWNWIND ? We start around 10:00 and leave towards the beach of Santa Monica where we will have lunch at Boca Beach. This is a great training for the downwindpart of the circumnavigation. After Lunch we go back upwind to Sal Rei. Total distance about 50km. In the early morning we drive to a secret wave-spot. After Lunch we start the most beautiful downwinder from there to LaCacao along the endless beach of the south side of the Island. We get back to Sal Rei by Car and problaby have dinner at Morabeza or in Town. Open program for everyone in order to prepare for the big circumnavigation. As everyone will have a different approach to the race around BoaVista we plan onsite what we will do on this "offday". Some might want to relax and do yoga while others keep training for the next day. Its the big day! We will meet at 08:00am at the Planet Allsports Center to prepare our Gear. Race Start is scheduled for 08:00am. At LaCacao there is a pitstop with food and drinks and a Taxi Service back to Sal Rei for the short distance riders. We estimate the first riders to arrive around 16:00 at Praia Estoril. At 19:00 there is a big Winners Ceremony followed by a Barbecue with Live Music on the Beach till late into the night. After a slow morning we head to the flatwater bay Ponta Antonia and enjoy the rest of our day there. In the evening we will visit the Wakan Bar for the best cocktails in town and have dinner at the famous container restaurant at the Pontao of Sal Rei. Here we also decide our program for Day 7. Program as decided the day before. The FOILBOA event Lycra, support boats, pit stop lunch, BBQ dinner and afterparty at Tortuga Beach Restaurant. Kite storage at the Planet Allsports Center.